The Corodex EFLOSEP is a high performance single stage oil interceptor. EFLOSEP Oily Water Interceptors are used for the separation of free floating oils in wastewater streams. Applications include food processing factories and industrial sites where rain or wash down water can wash spilt oils into storm drains. Other uses include pre-treatment to downstream water treatment processes, where oil contamination may cause process problems. 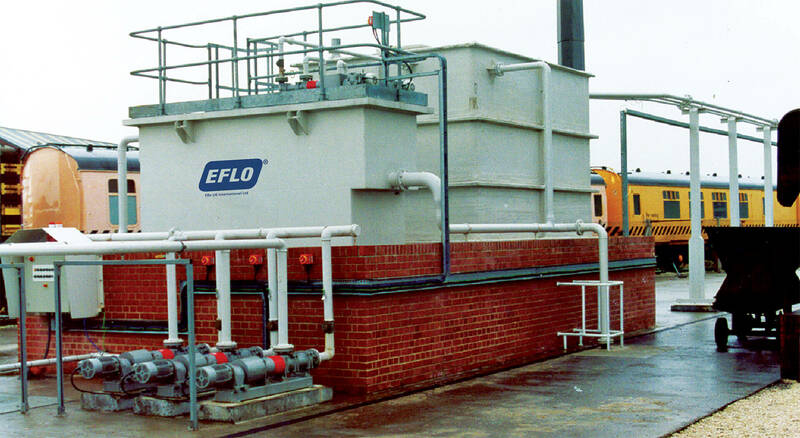 EFLOSEP is a key process component in industrial water reuse systems. Enhanced oil removal to greater than 50 mg/L can be achieved by incorporating and utilizing plastic oil attracting media. All EFLOSEP units are available as packaged, steel fabricated systems. Larger systems can be built using concrete tanks with pre-fabricated internal components.